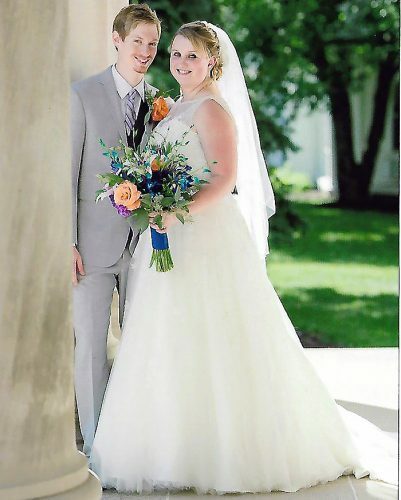 MINGO JUNCTION – Finley United Methodist Church in Steubenville was the setting for the June 20, 2015, wedding that united Shane Reynard and Hannah Means in marriage. The 1:30 p.m. ceremony was celebrated by Pastor Jerry Ernst. 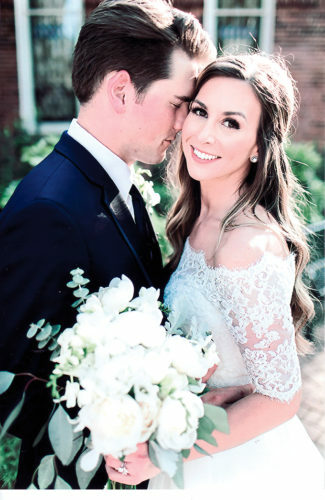 Escorted to the altar and given in marriage by her parents, James and Vickie Means, the bride chose a tulle and lace gown with a drop waist and cathedral-length train and veil adorned with lace, crystals and pearls. She carried a cascading bouquet of off-white roses, blue and purple daisies and carnations with brooches. The groom is the son of Rob and Barbara Reynard of Smithfield. 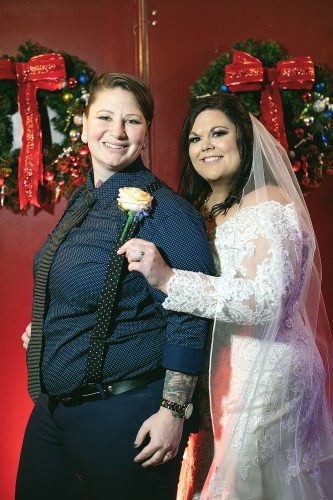 Breanne Keyoski of Adena served as her sister’s matron of honor, and Taylor Johnson of Smithfield served at the maid of honor. Bridesmaids included Shelby Kerkuta, Jacqueline Mavromatis, Sarah Hopkins, Kayla Stock, Shelby Bartrug, Rebecca Spangler, Miranda Koehler, Jessica Cunningham, Taylor Neavin, Courtney Lewis and Tiffany Marshall. Travis Reynard of Smithfield served as his brother’s best man along with Nick Singleton of Rush Run. Groomsmen included Mario Piergallini, Greg Piergallini, Justin Sutphin, Justin Moore, Jordan Poludniak, Mike Kelley, Ian McCoy, Dustin Keyoski, Brad Hughes, Greg Verhovec and Chance Hunter. Katie Reynard, Kylie Watt and Isabella Thornton served as flower girls. Lane Keyoski, Dalton Watt, Jacob Watt, Nate Reynard, Cameron Kerkuta, and Reid Moodie served as ring bearers. After a reception at St. Florian Hall in Wintersville, the newlyweds took a wedding trip to Clear Water Beach and Orlando, Fla. 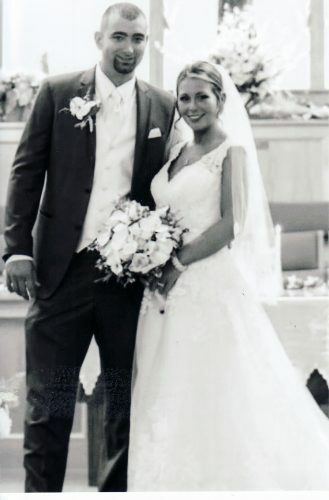 The bride is a graduate of Buckeye Local High School and Franciscan University of Steubenville with a bachelor’s degree in nursing and is employed at Trinity Health System. 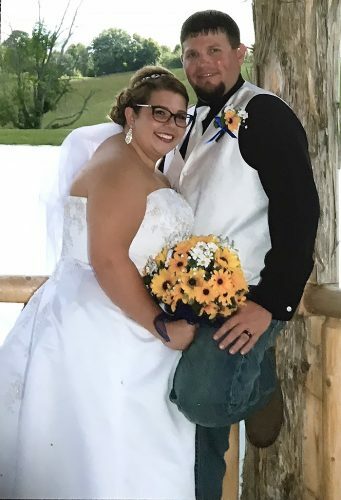 The groom is a graduate of Buckeye Local High School and Wyotech and is employed by Western Branch Diesel as an off-road mechanic. They reside in Mingo Junction.